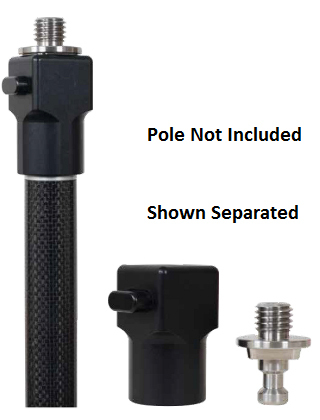 The Seco 60mm Anti-Rotation Quick Release converts any GNSS receiver or prism with a 5/8 x 11 thread to a quick release. This product is made of stainless steel and aluminum. The base is screwed onto the existing male thread of your prism pole or GPS rod and then the GNSS receiver or prism is then screwed onto the quick release tip. With a push of a button the piece separates.